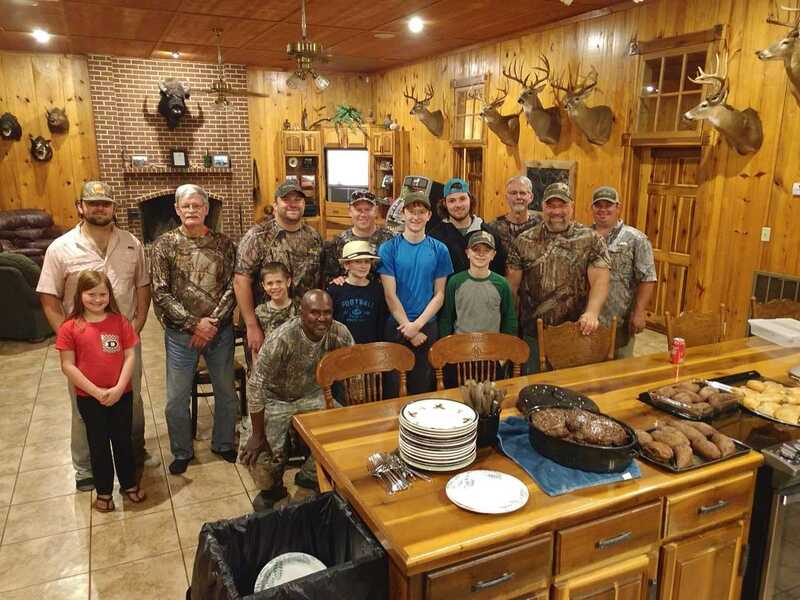 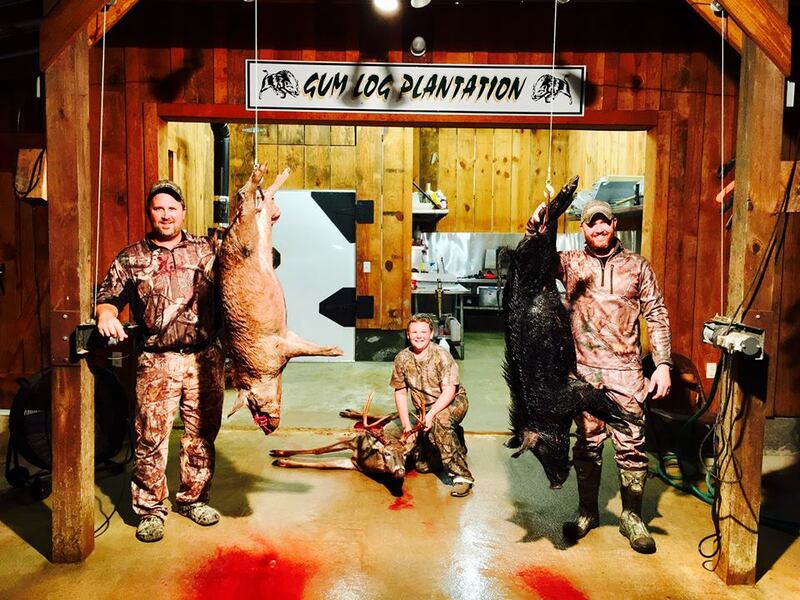 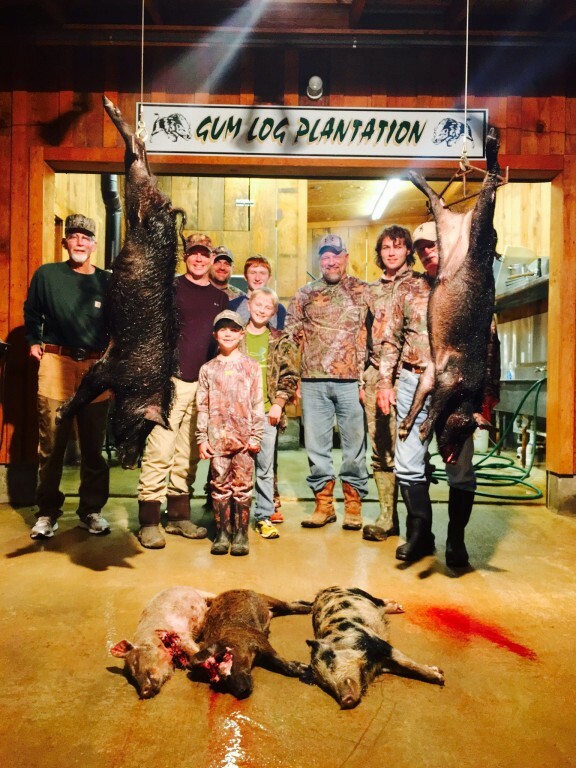 The Thompson, Graham and Sheridan families had a great hunt at Gum Log! 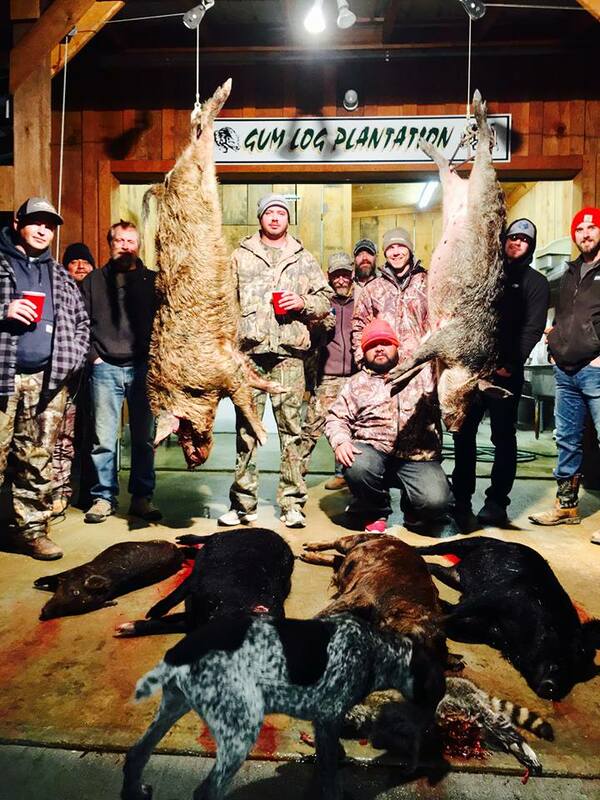 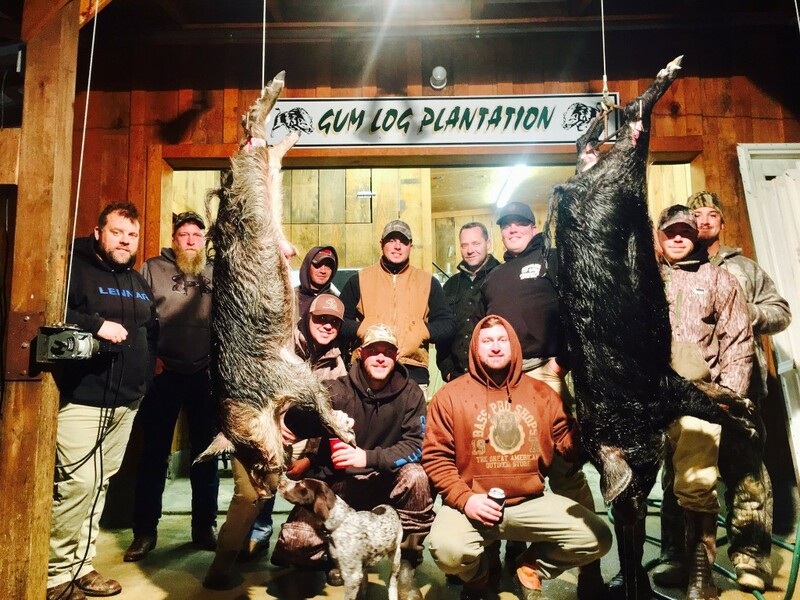 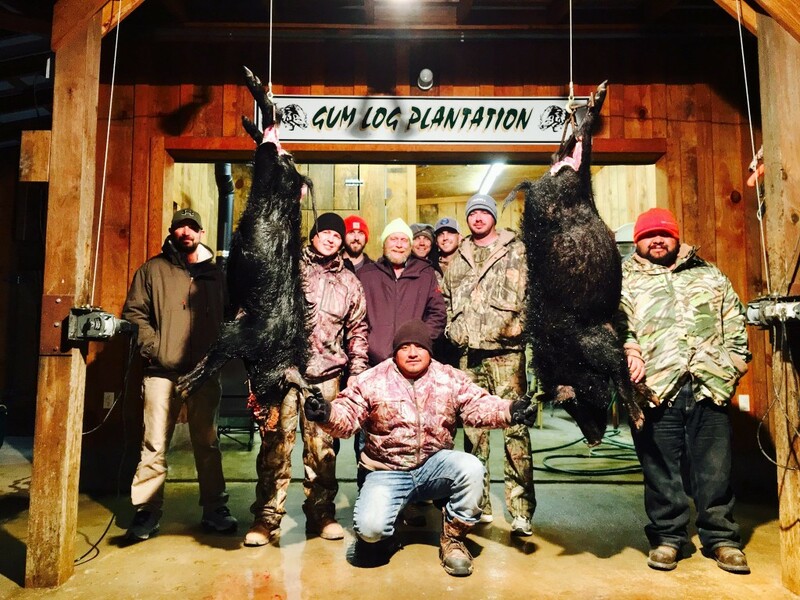 Daly crew slayed em at Gum Log Plantation!!! 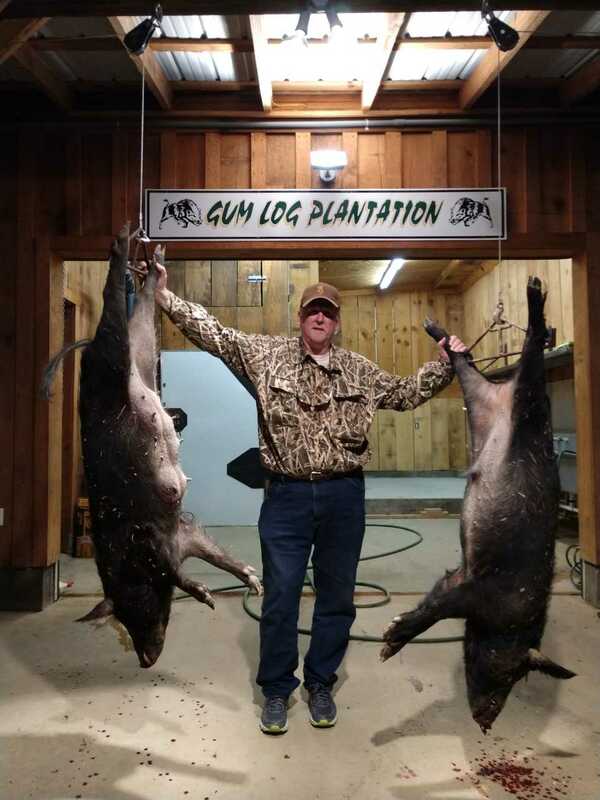 Paul Has a great hunt at Gum Log got a double!! 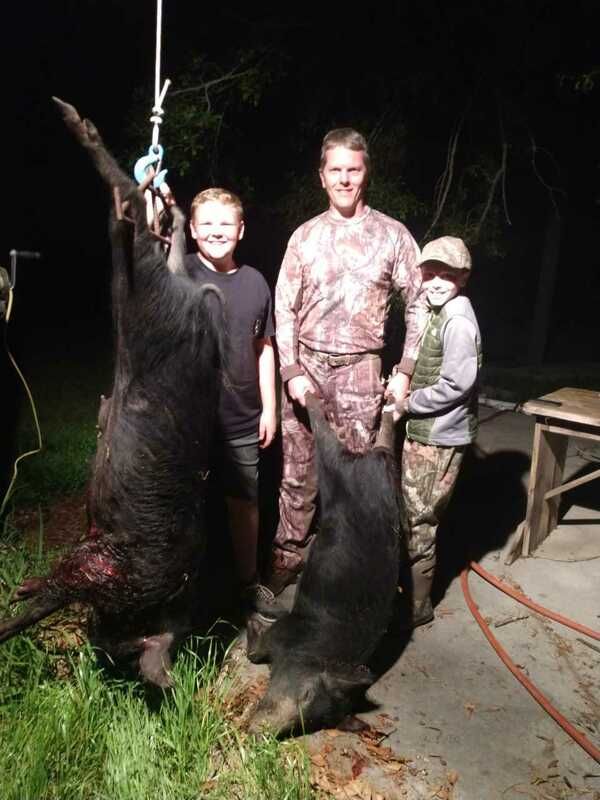 Carlton Cole and son Ryan got a double this evening! 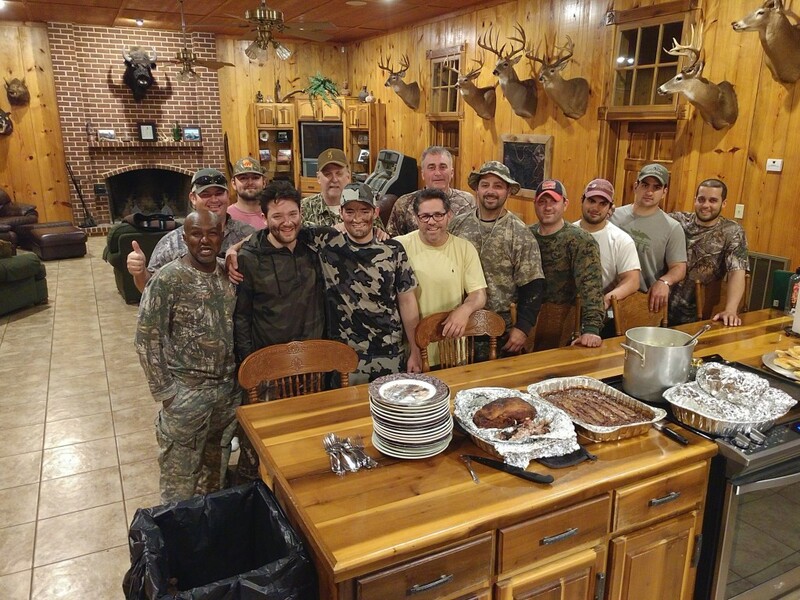 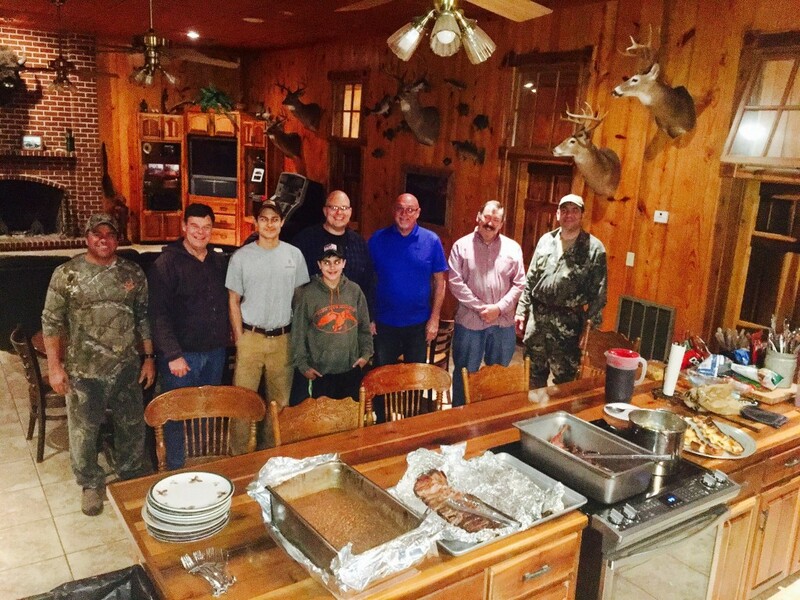 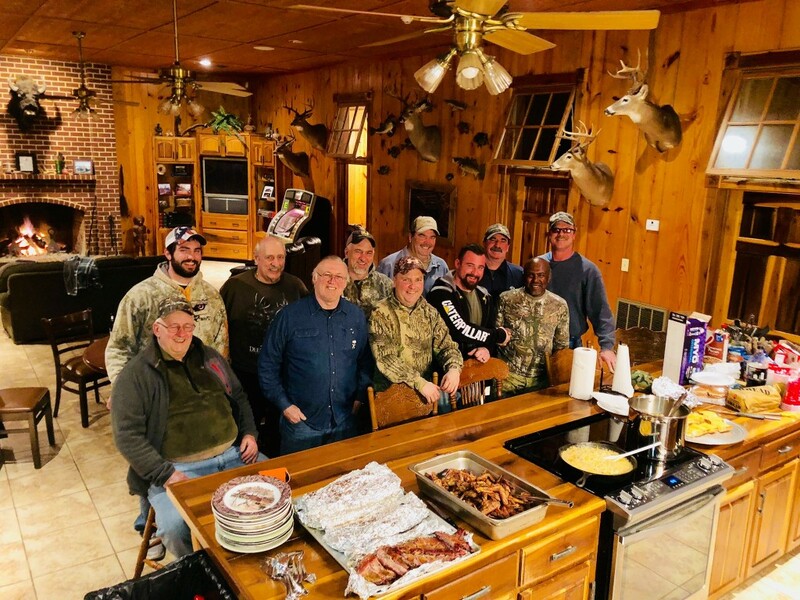 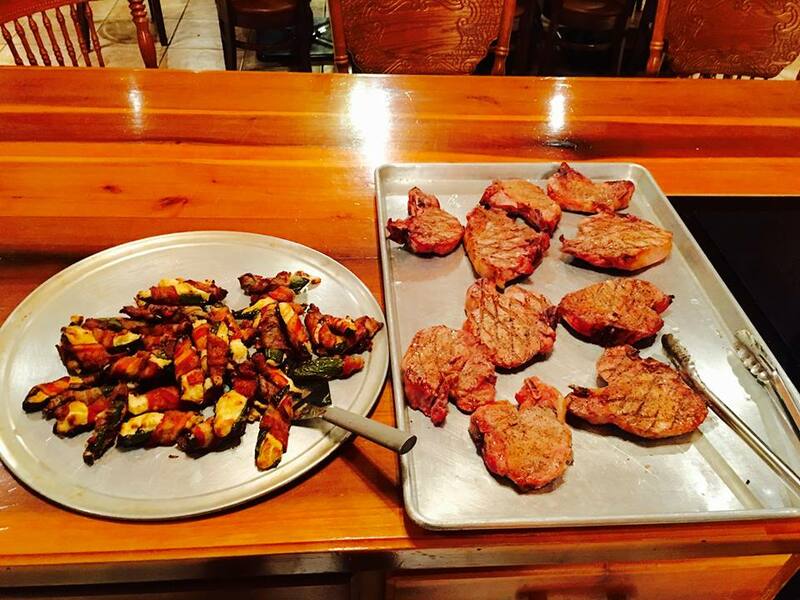 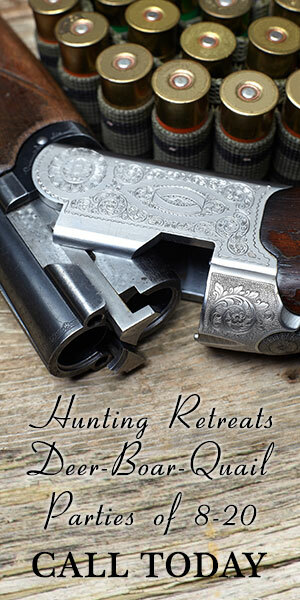 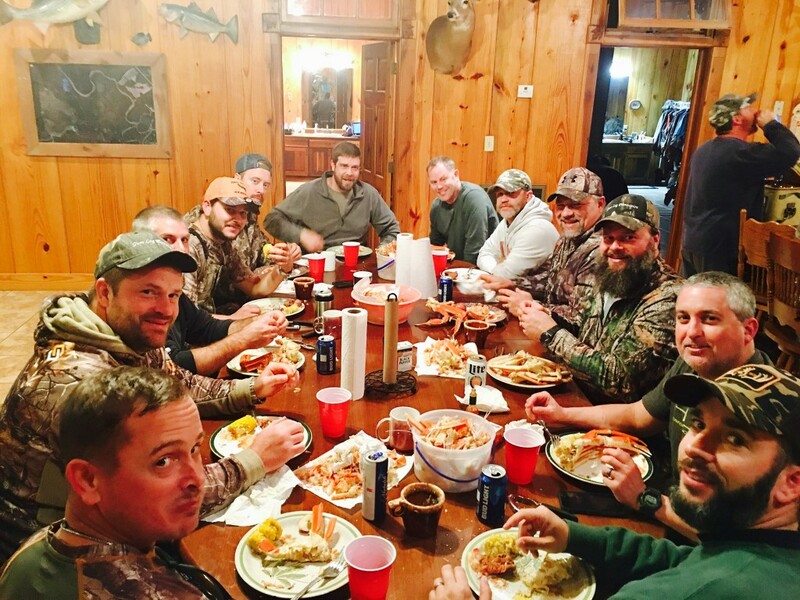 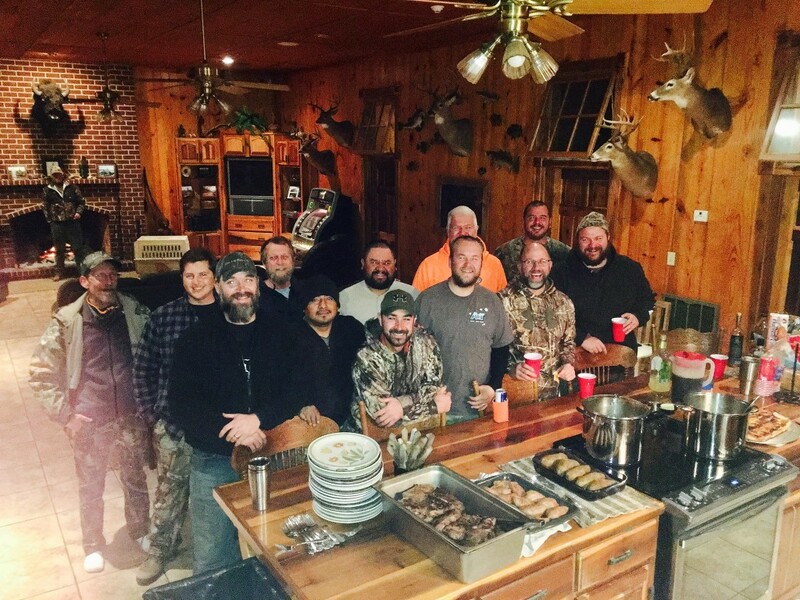 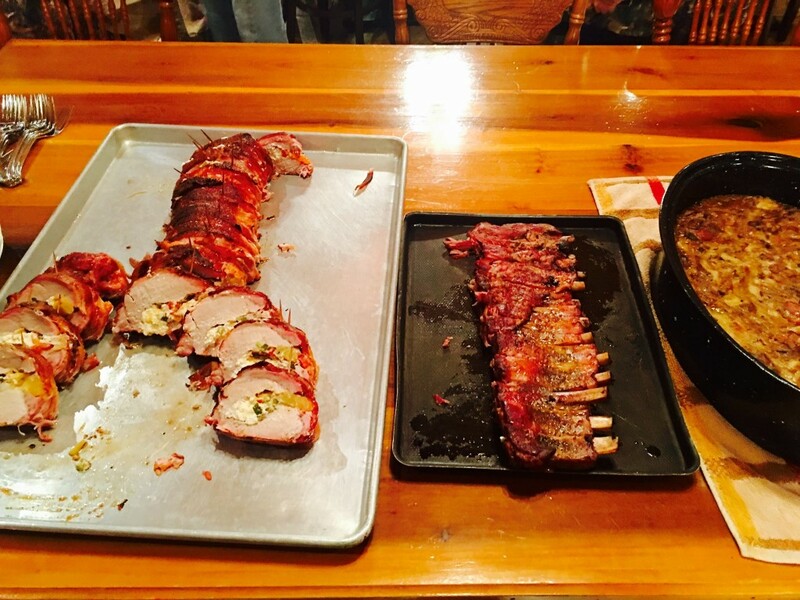 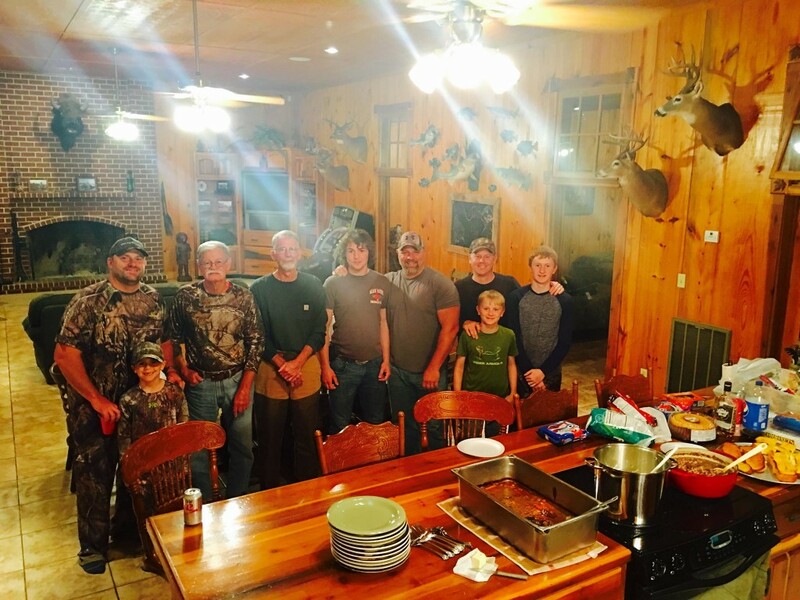 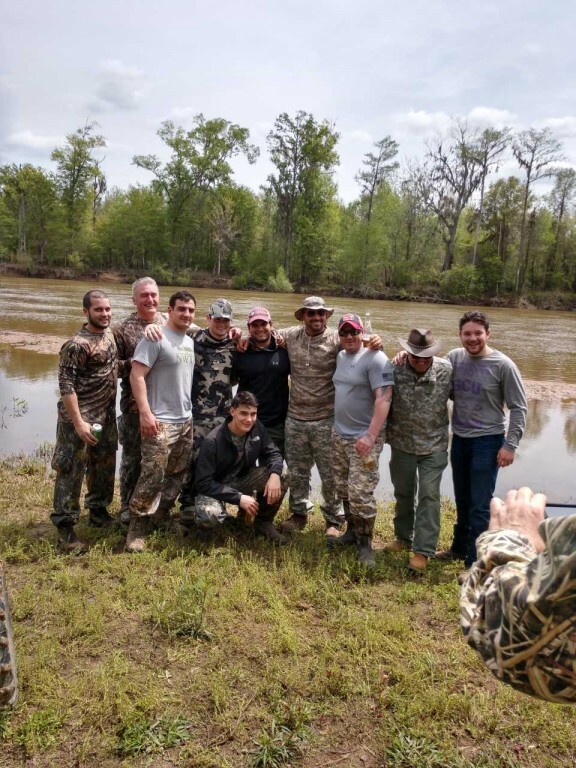 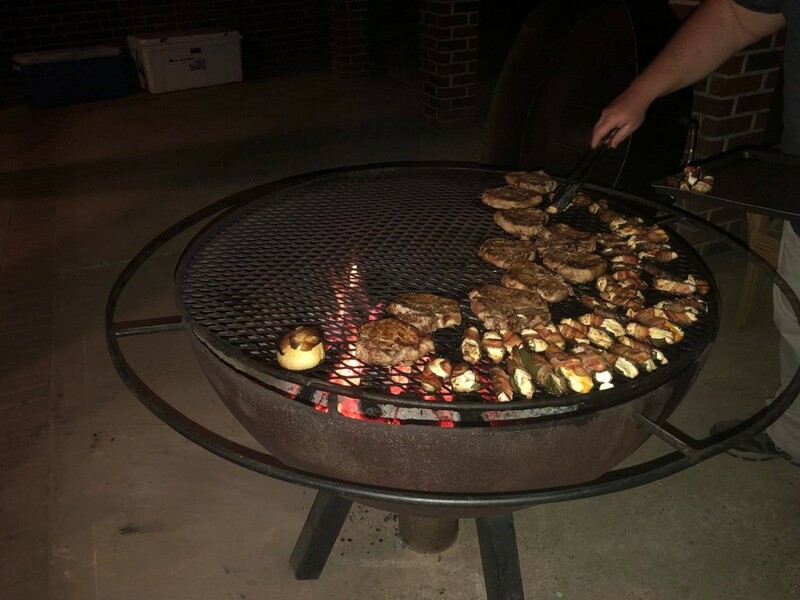 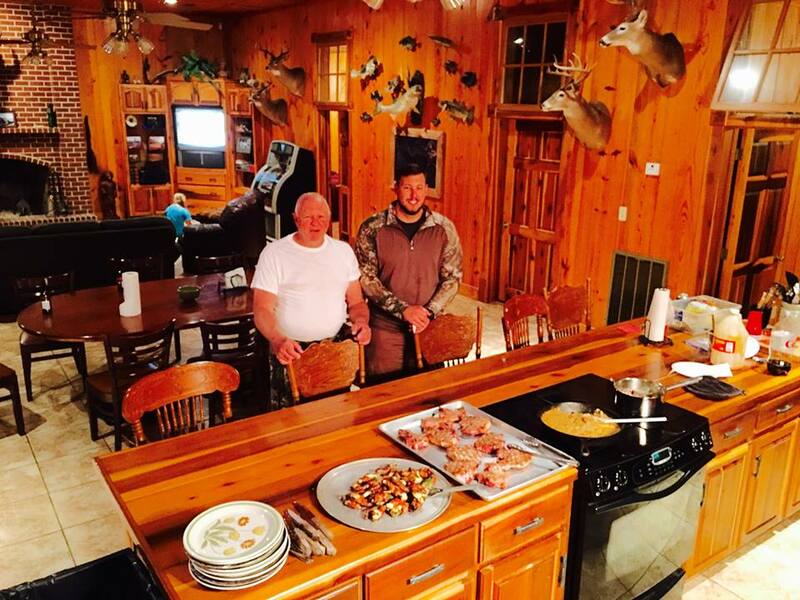 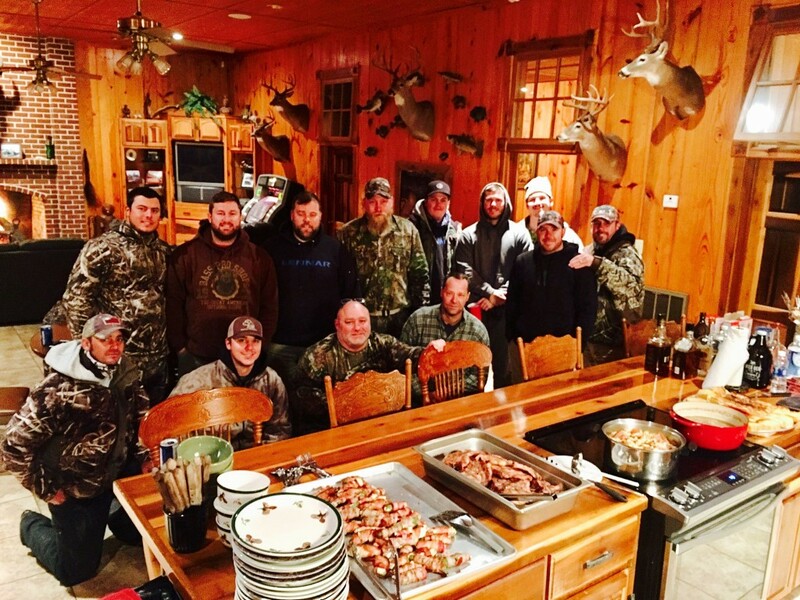 Another successful hunt followed by a great meal with Jeff DeFranc, Jeff Kusmeriz and friends on March 22-25! 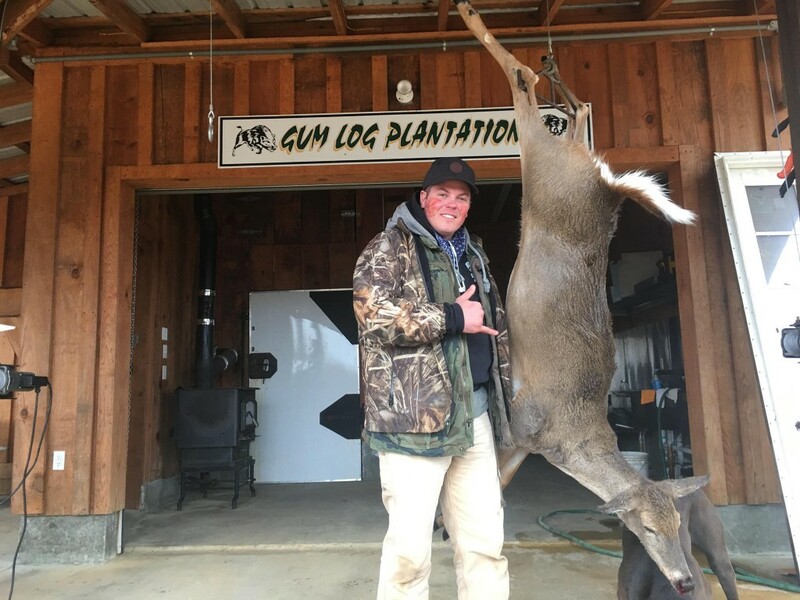 What an afternoon folks! 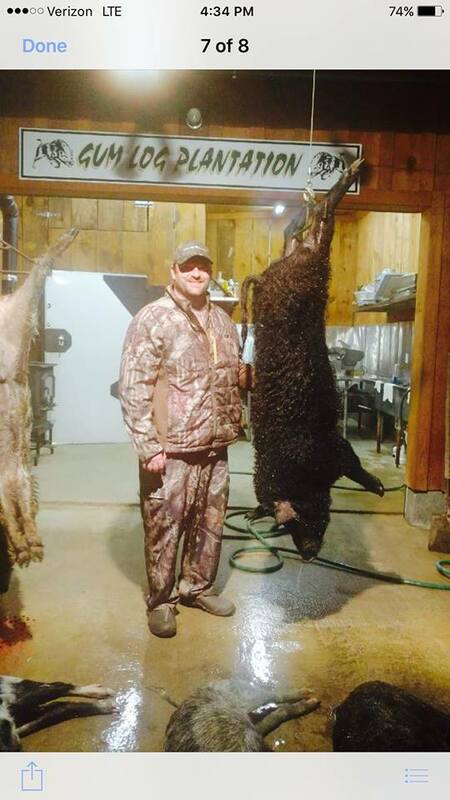 Nice Trophy 362 lbs and some fine meat hogs!!!!!! 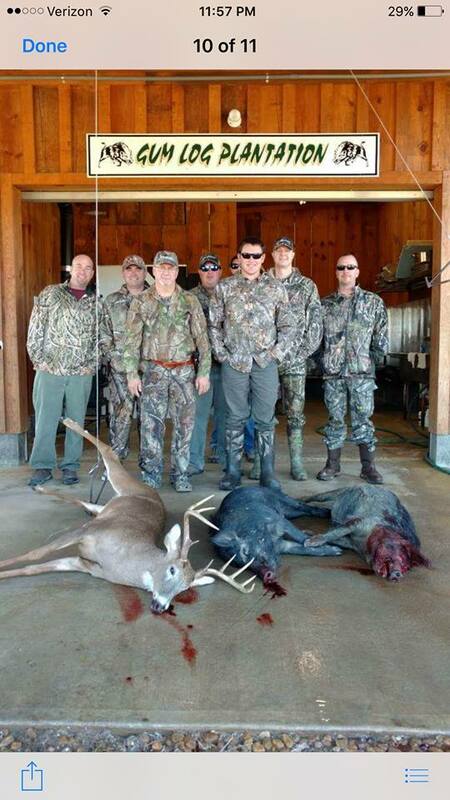 Jeff Zimmerman and the PA gang. 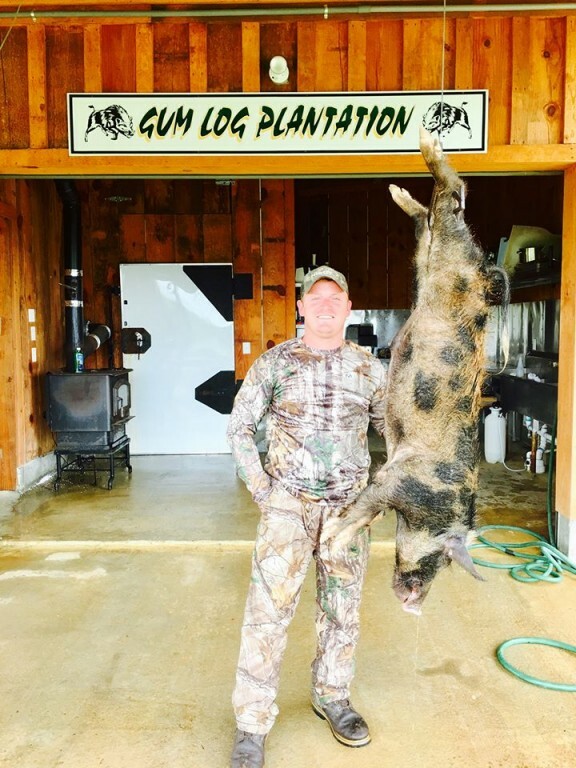 Jan 2018 Go Big Hunt! 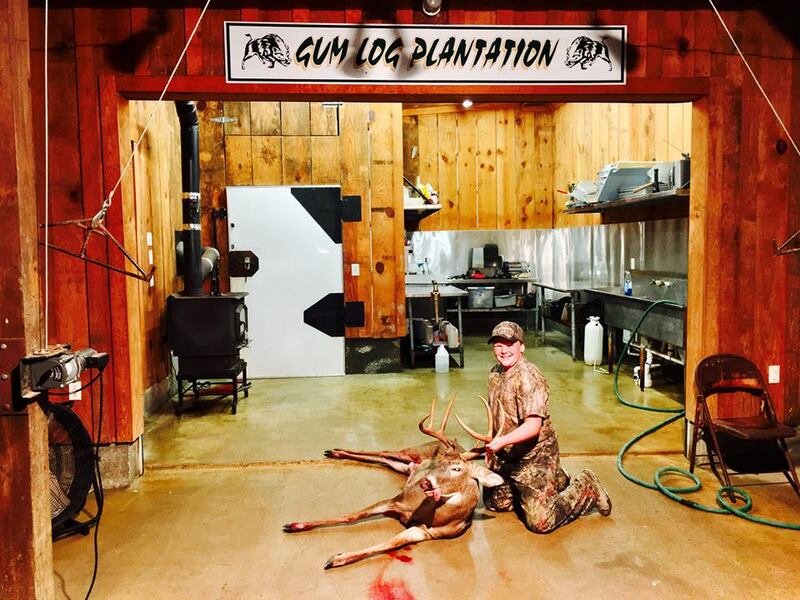 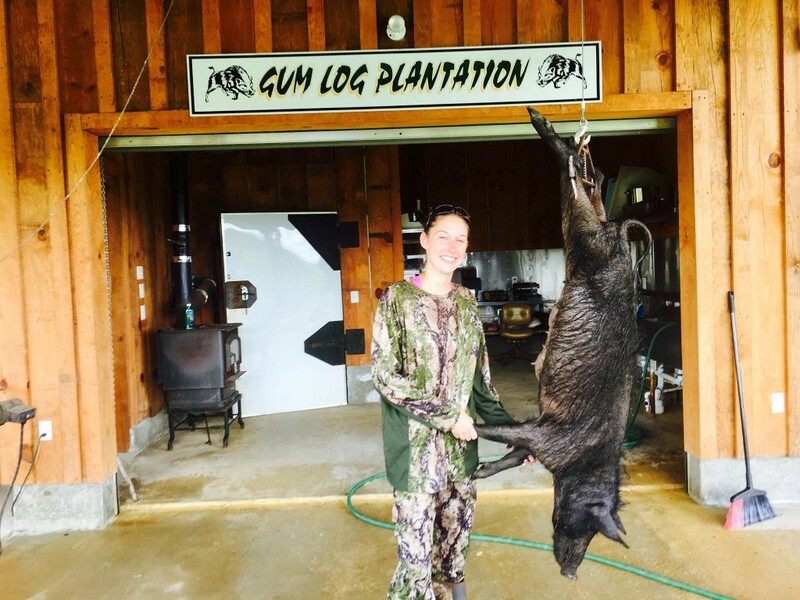 Gum Log Plantation…………Go big or go Home!!!!!!! 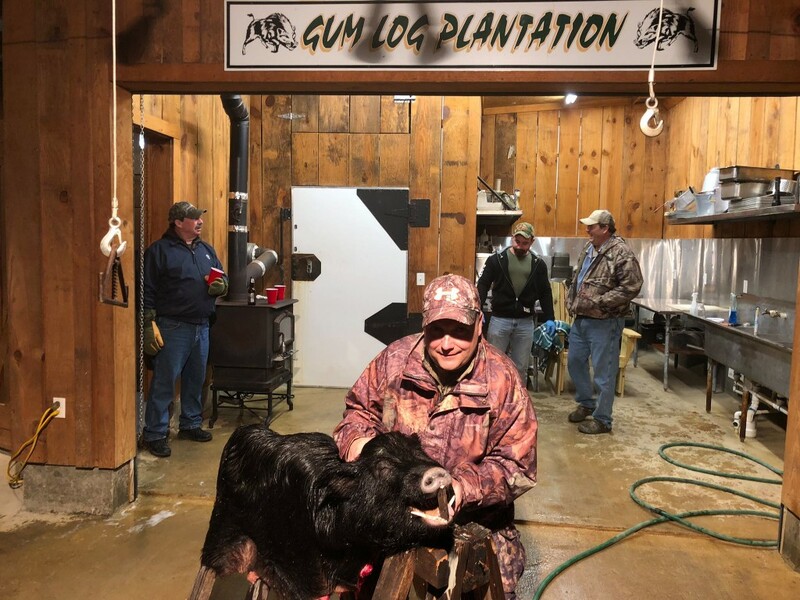 Mike Bruce with Applied Industrial Controls had a great weekend at Gum Log Plantation!!!! 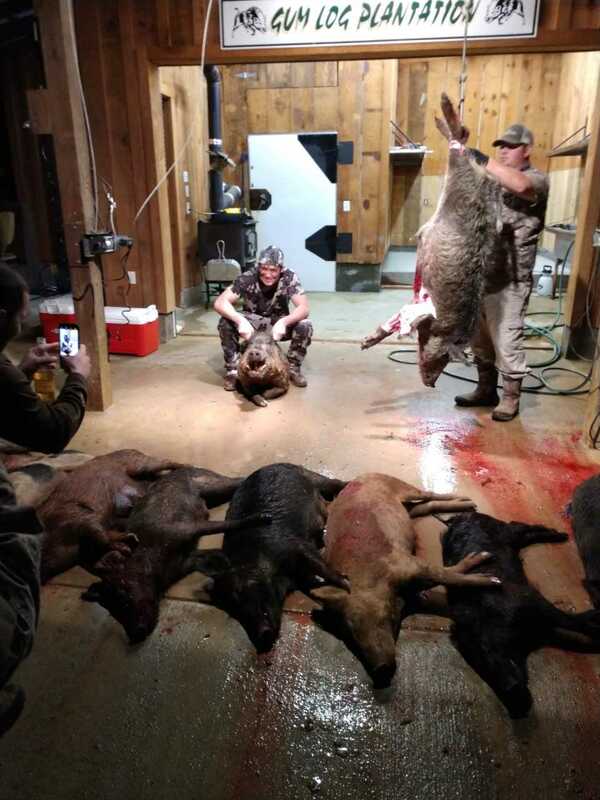 Killed some fine meat hogs and two Trophy Boars! 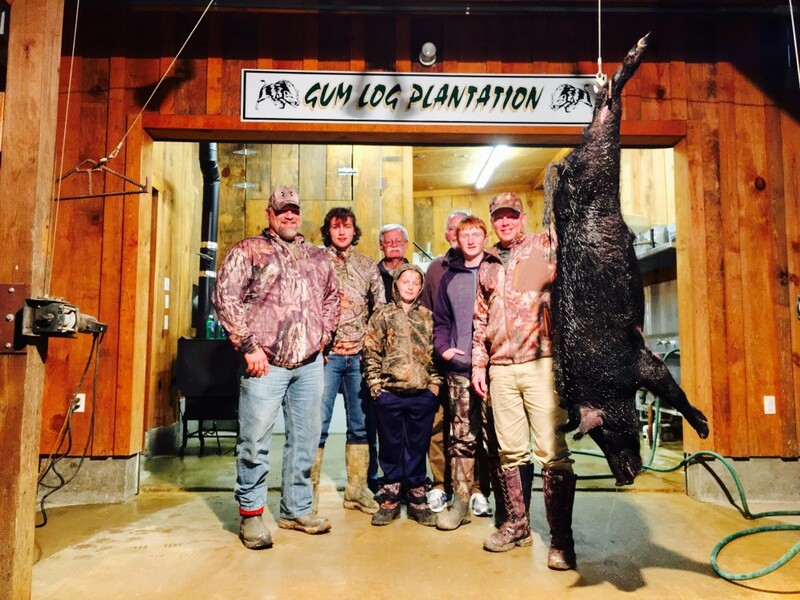 Lennar Home Builders had an awesome weekend at Gum Log Plantation!!!!!!!! 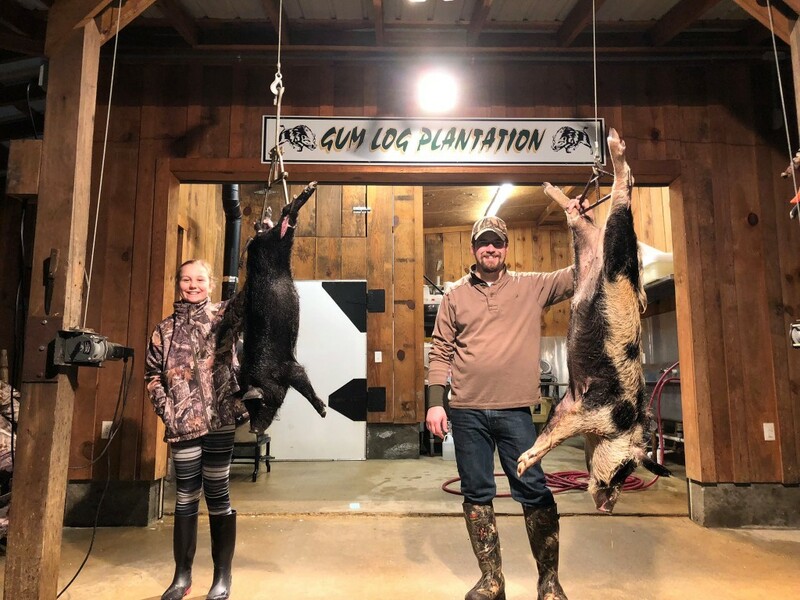 Great start to this weeks hunt. 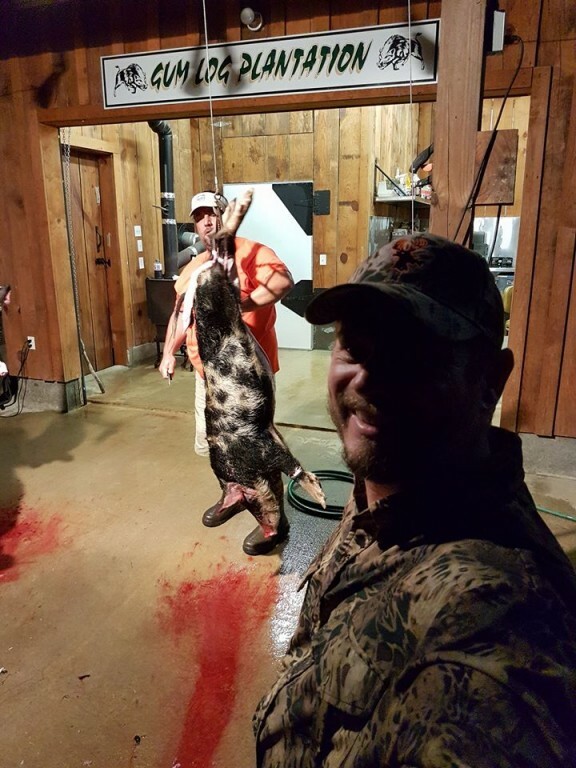 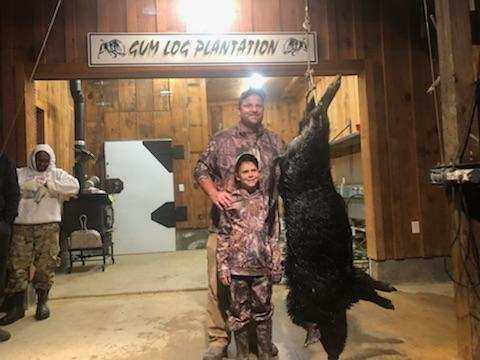 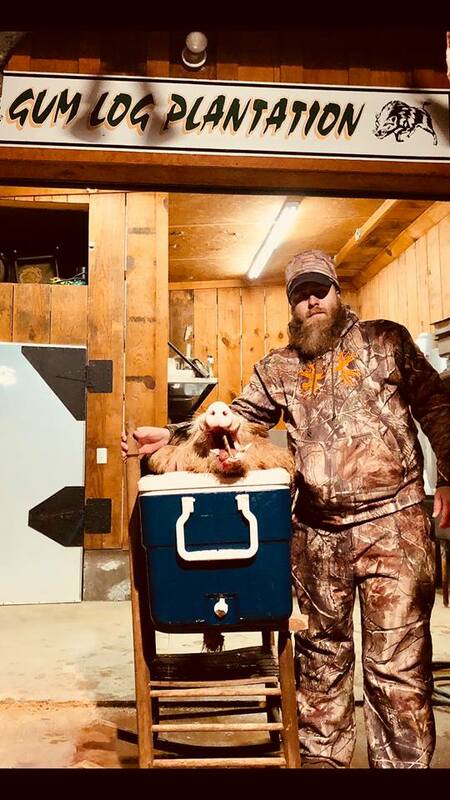 BJ and Jay from New Jersey got a great boar!!!!! 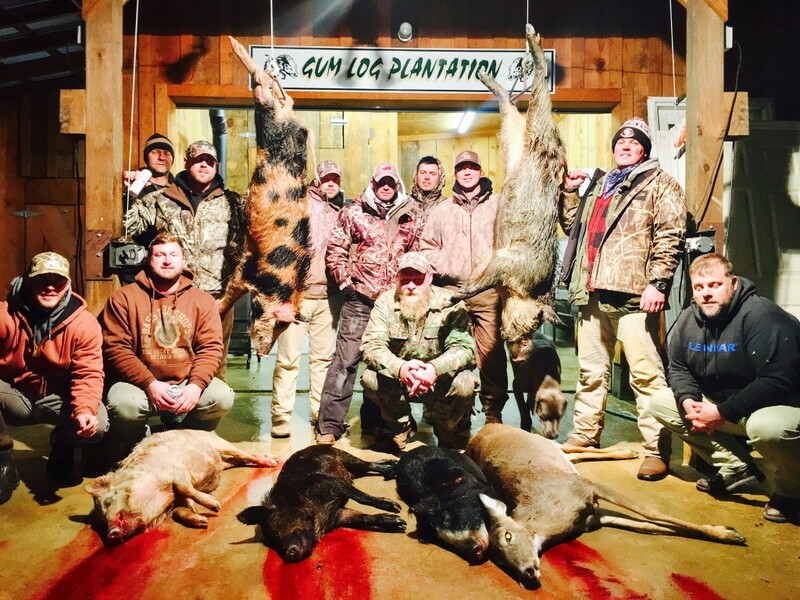 We’ve got hunters in from New Jersey Vermont and Illinois!! 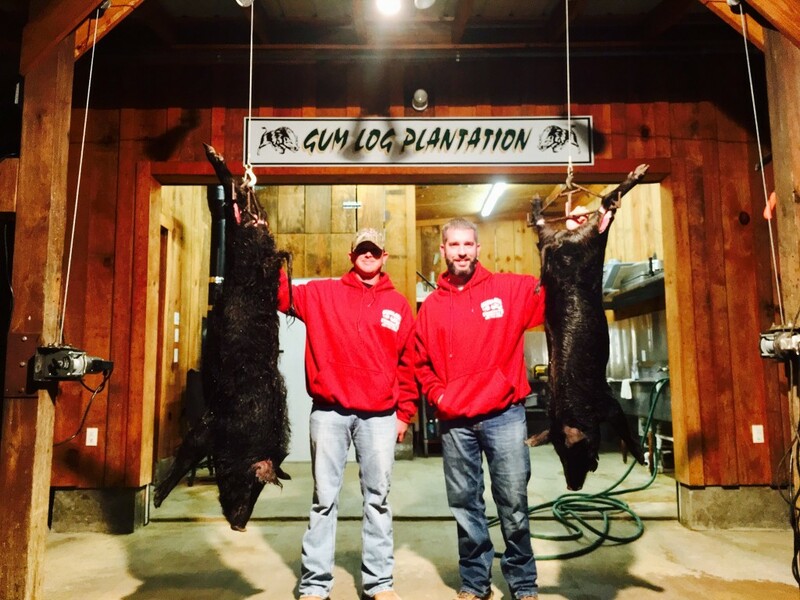 Pulte Home Builders Raleigh NC had a great weekend at Gum Log Plantation!!!!!! 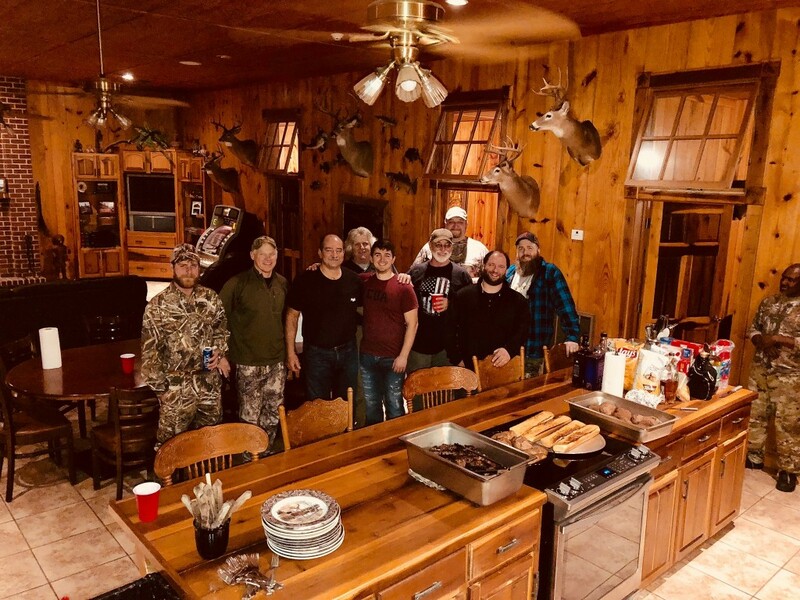 Nov 2017 Ashton Woods Weekend! 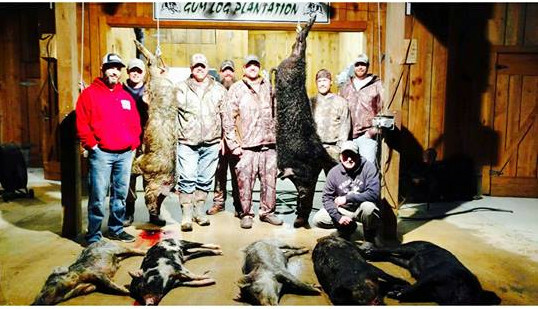 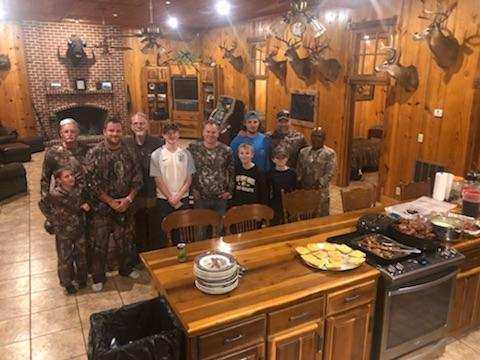 Ashton Woods Home Builders ended up their hunt with 3 fine bucks and 14 hogs!!!!! 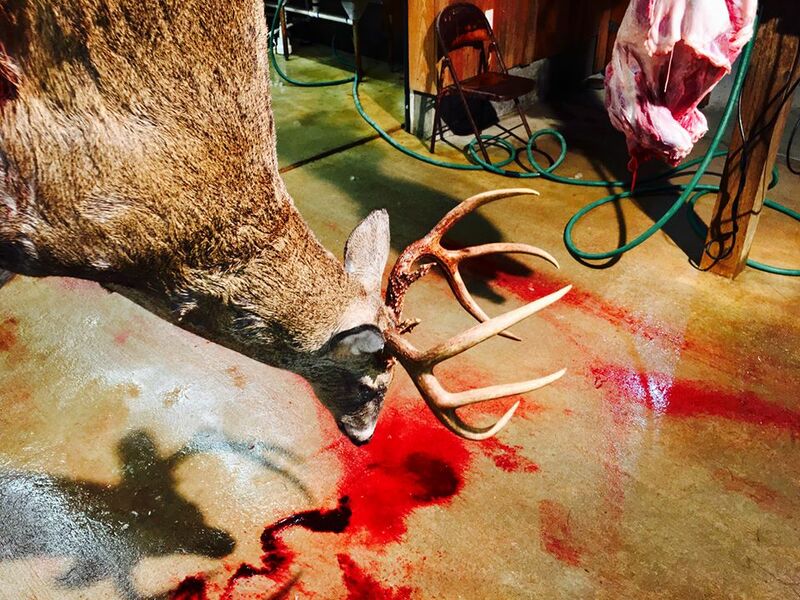 My little man Gabe got his best buck ever tonight. 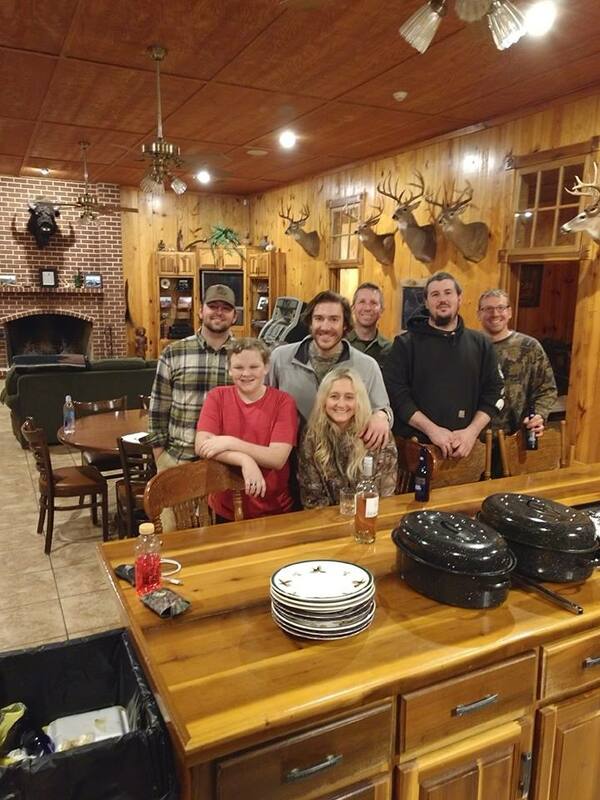 I’d say that it’s been a mighty fine weekend! 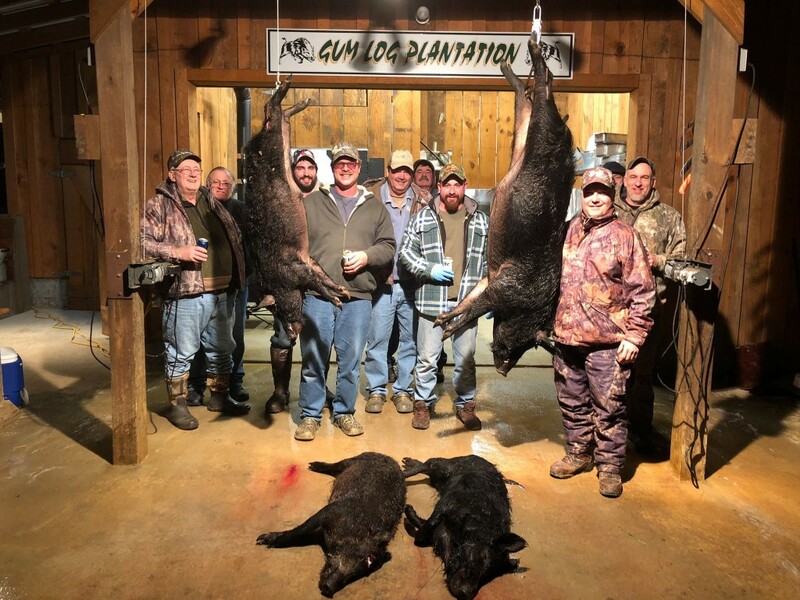 Ashton Woods Home Builders Raleigh NC had a mighty fine day @ Gum Log Plantation!!!!!!! 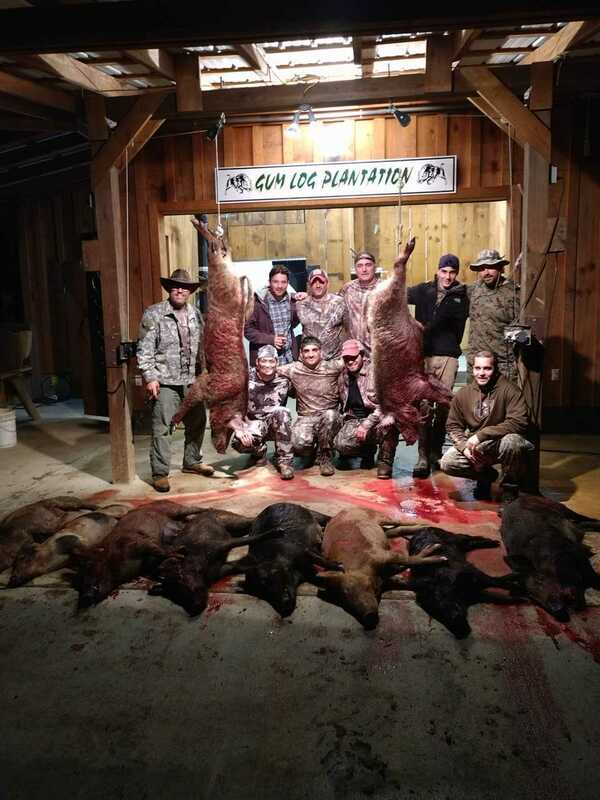 12 hogs two fine bucks and one monster buck missed I’d say that it doesn’t get any better than that. 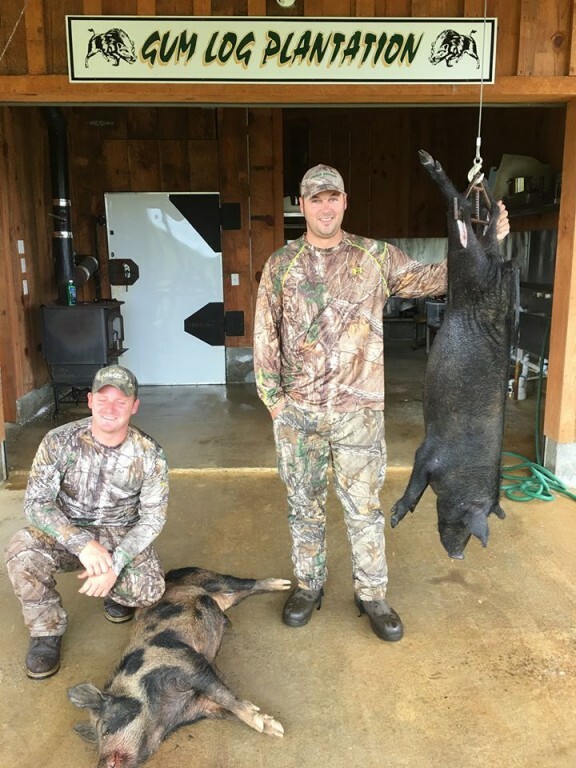 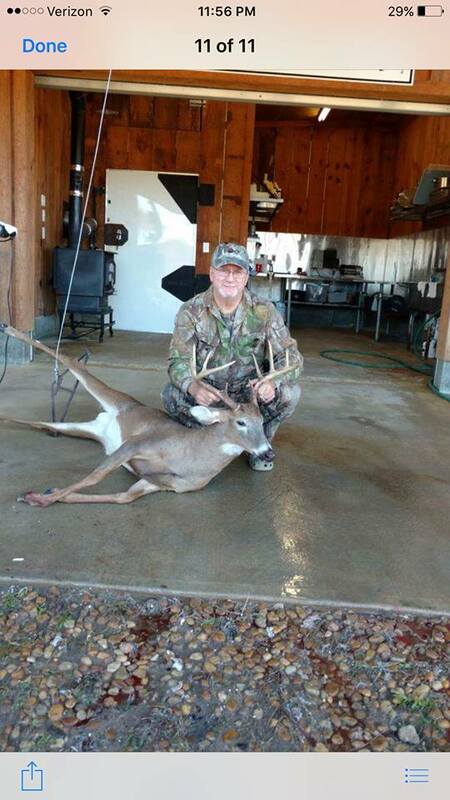 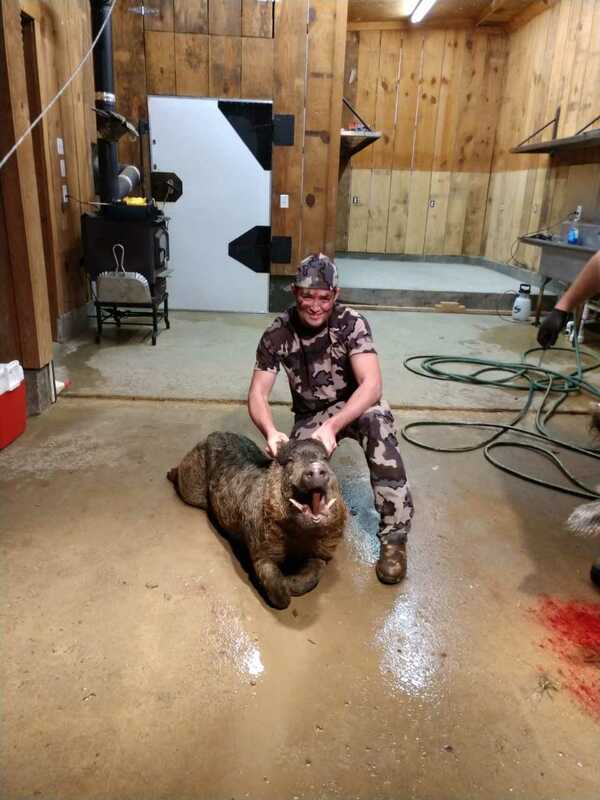 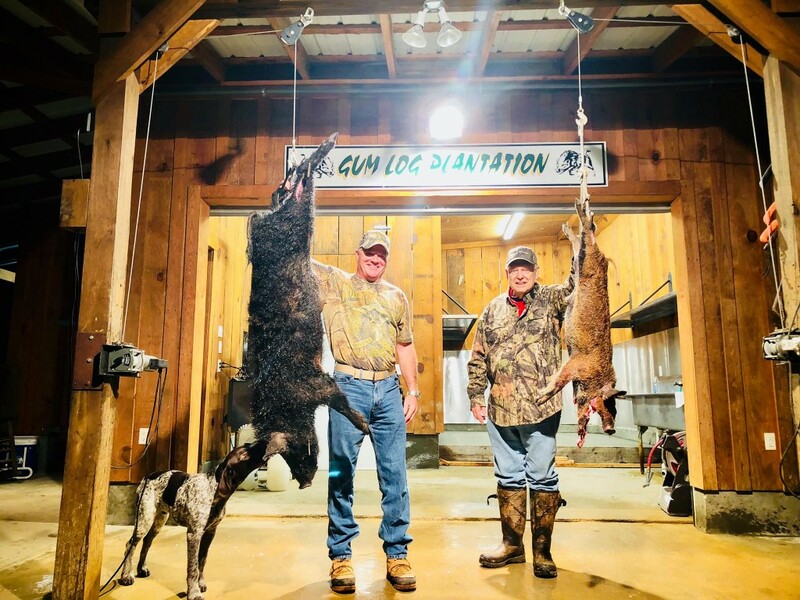 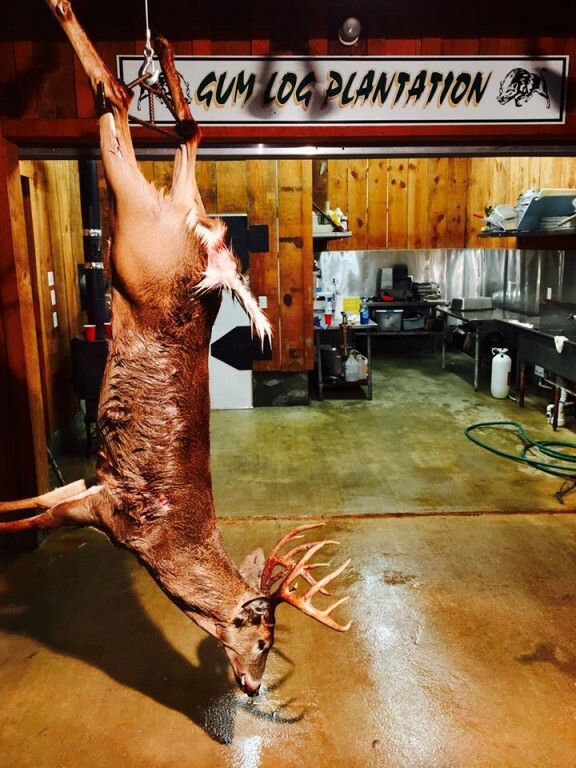 Tom Martin says “Bacon coming home with me!” First night, spot “n” stalk and placed a beautiful shot with my bow and this morning shot this one with the Remington .27o. 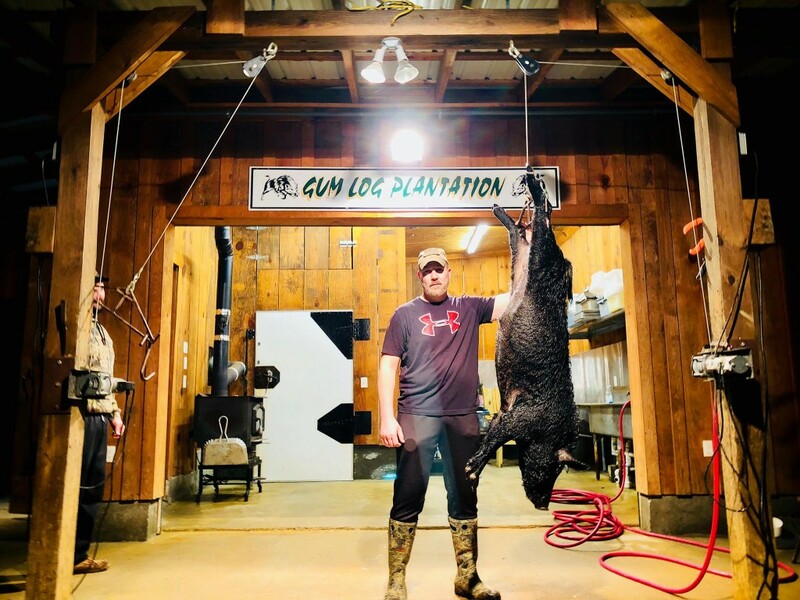 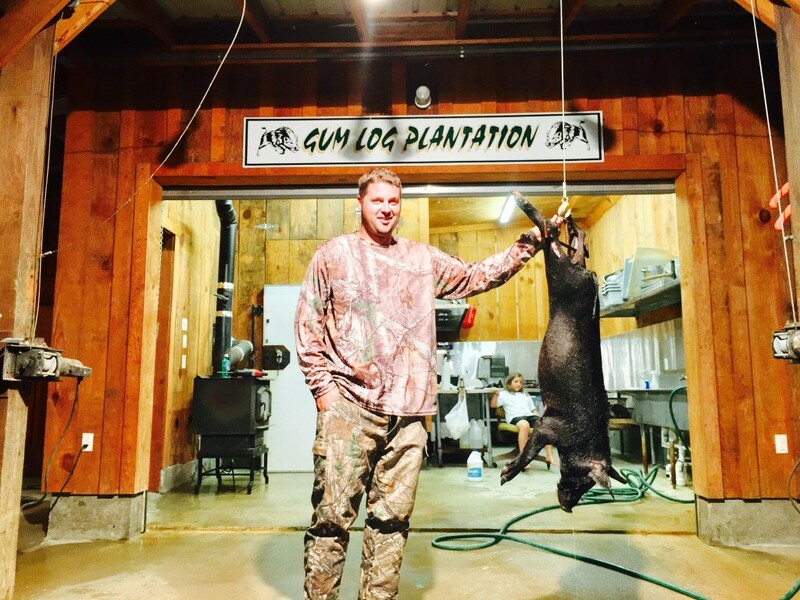 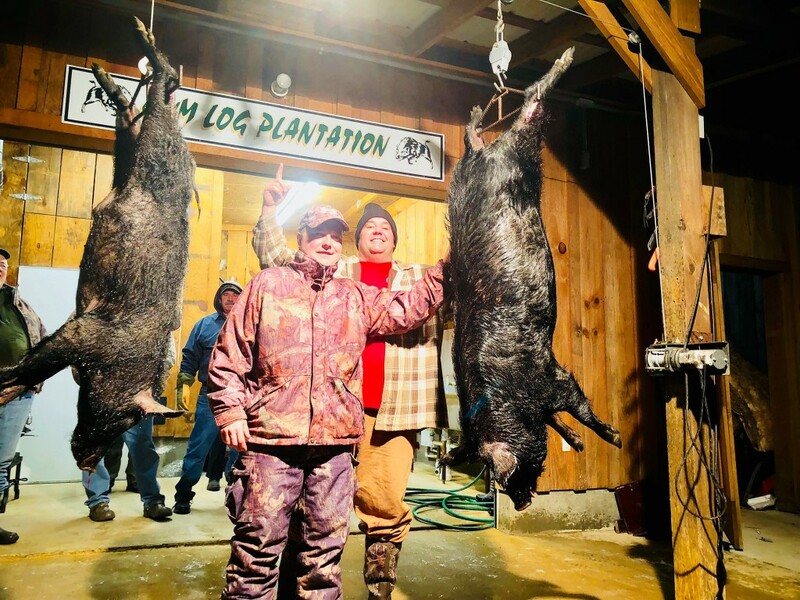 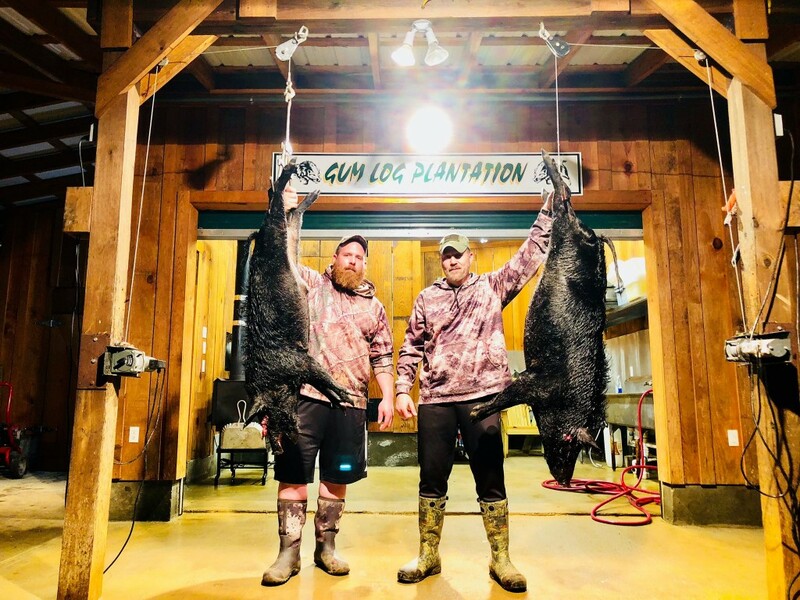 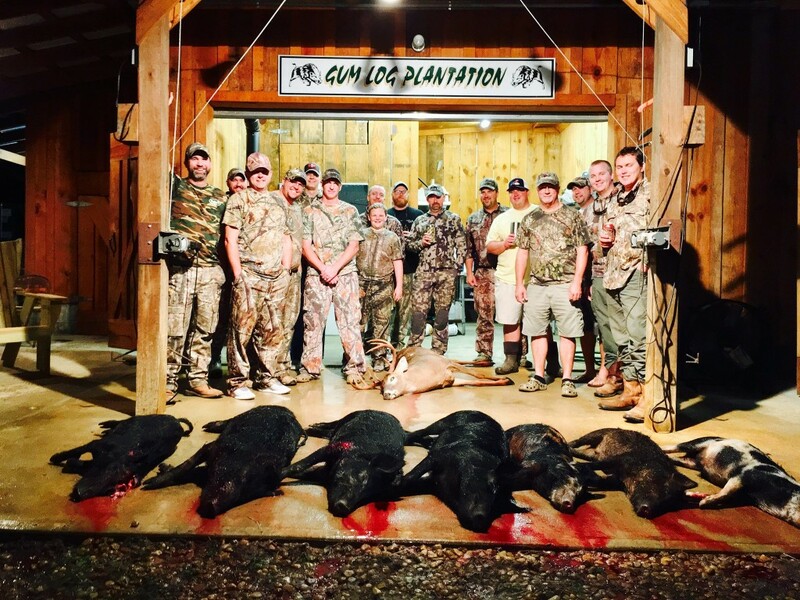 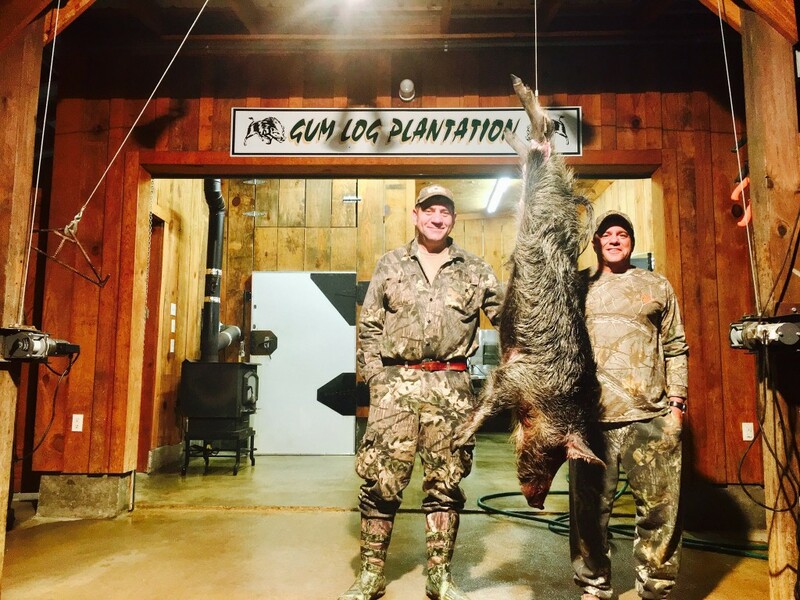 Gum Log Plantation in beautiful Georgia will put you on the hogs. 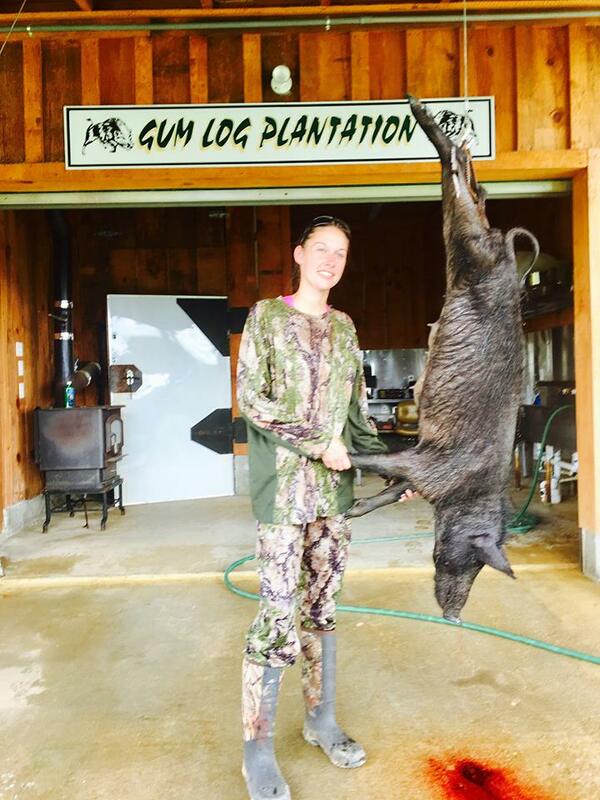 Kaila Leute with a fine hog taken @ Gum Log Plantation!!!!! 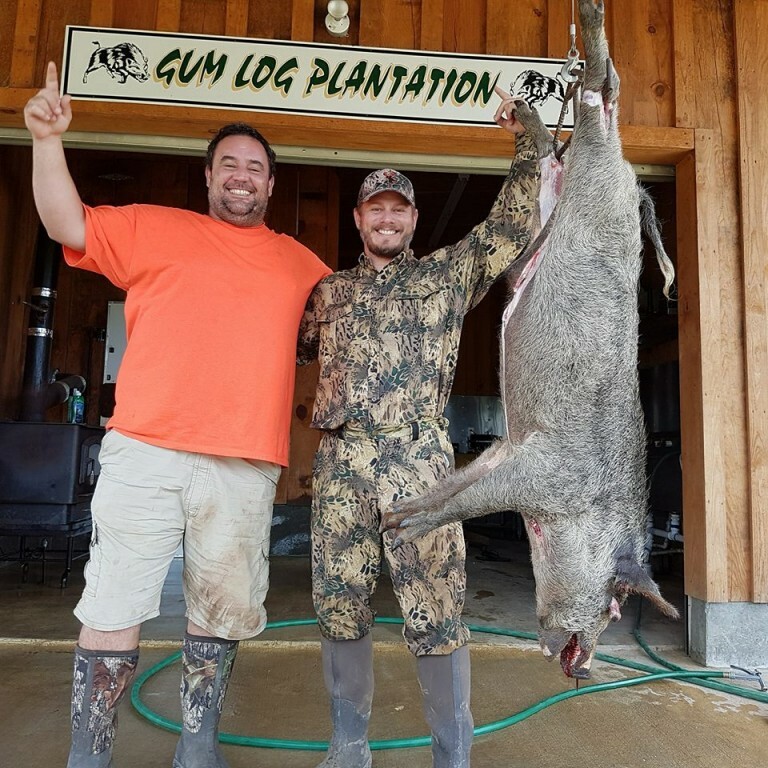 Mitch and Justin from Maryland had a great hunt @ Gum Log Plantation!!!!!! 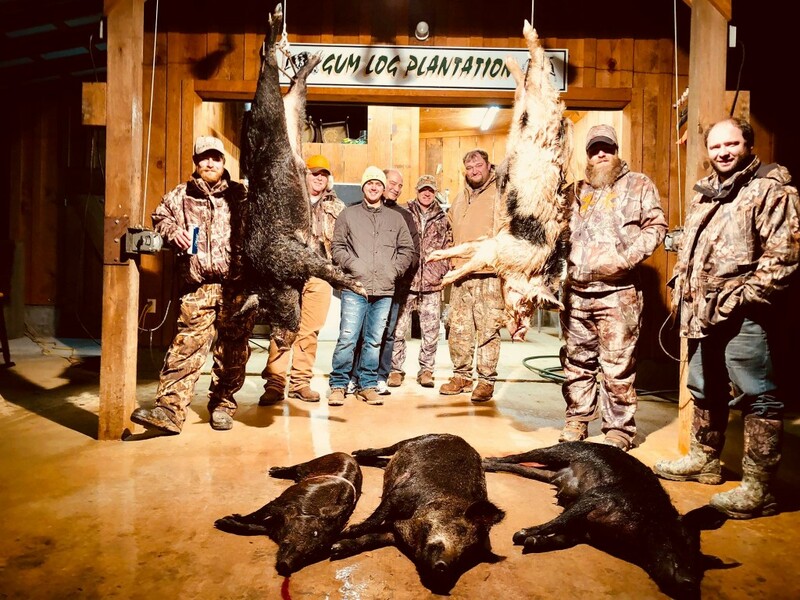 It’s getting to be that time of year book your next hunt of a lifetime today!!!! 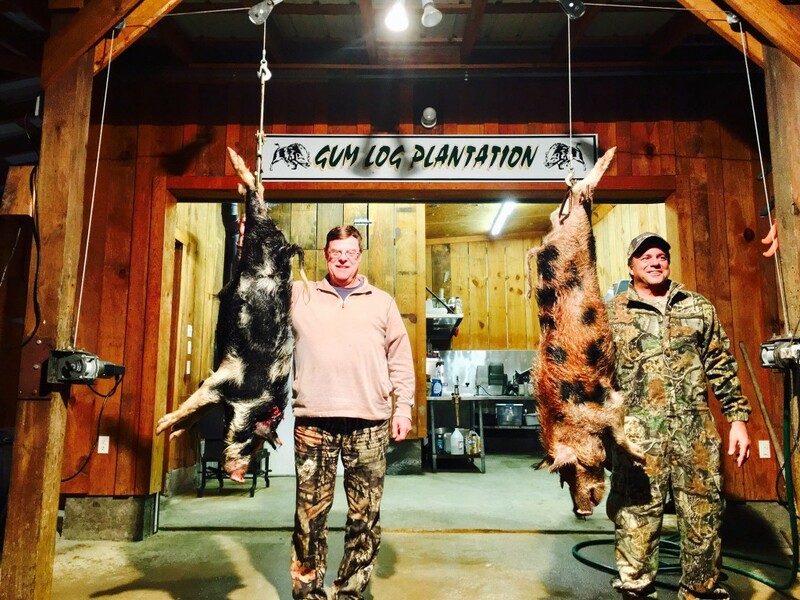 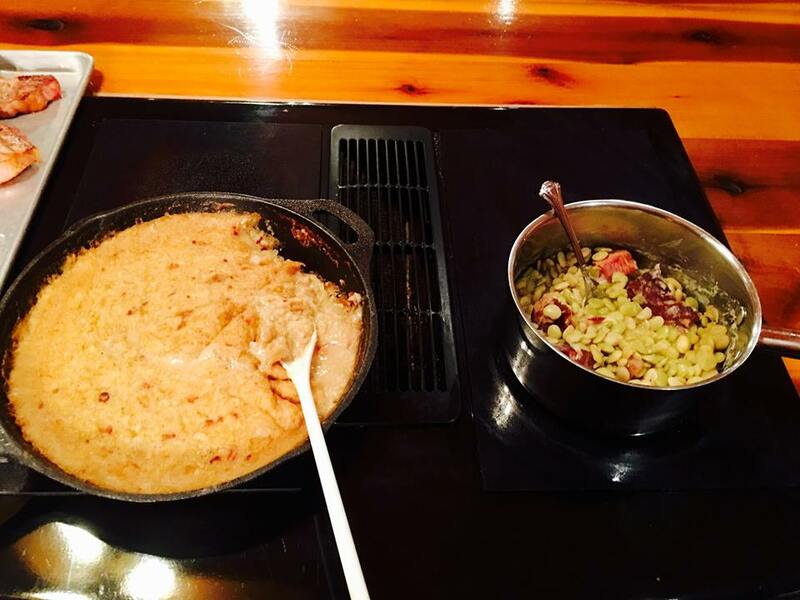 Another fine meal @ Gum Log Plantation!!!!!!! 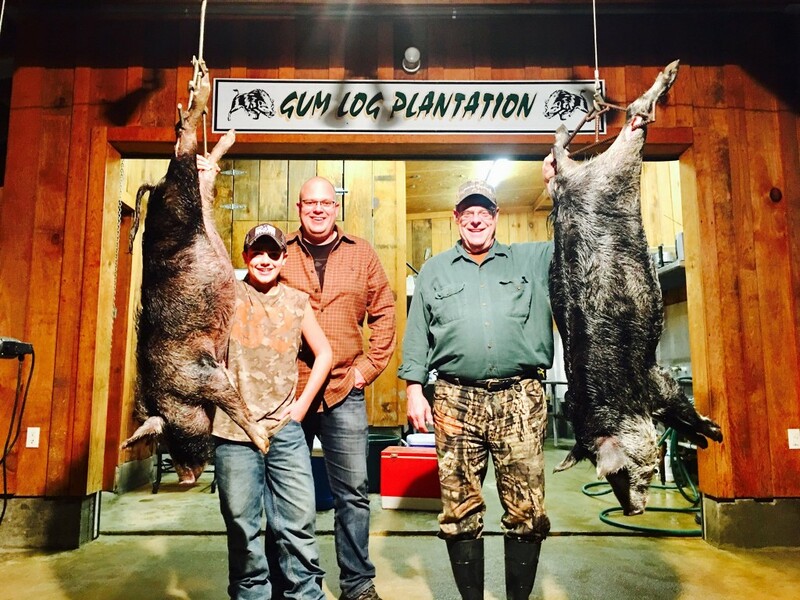 Tom Hisgen Sr & Tom Hisgen Jr, father and son both harvested there first hog this afternoon Congrats Guys.